Business Insurance and Business Interruption Coverage - Schatzman & Hovanyecz, P.A. Hurricane. Fire. Water. No business wants to shut down from a natural or man-made disaster. When disaster happens, will you be ready to ensure the continuity of your business? Insurance for your business consists of many aspects, the major one being business interruption. Business interruption is recovery for lost business income while your business is non-operational as a result of a covered insurance claim. 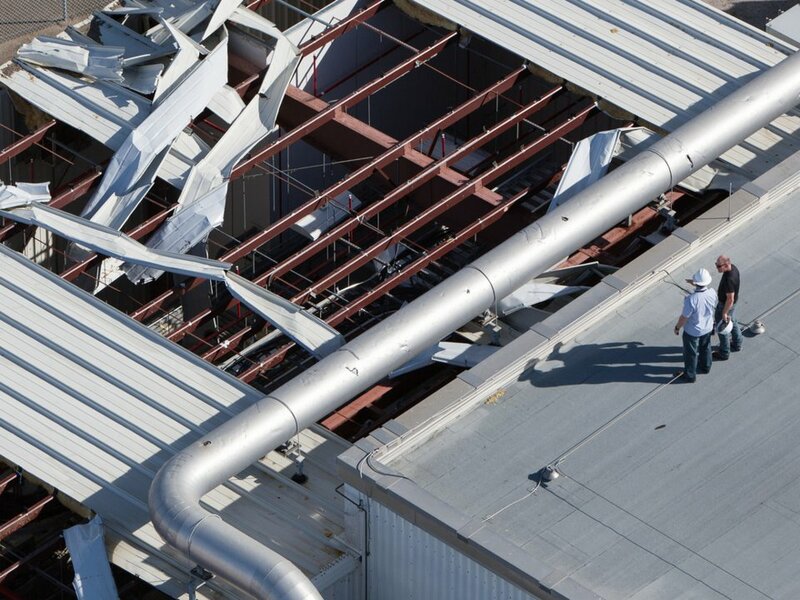 While the protection from this type of coverage is invaluable, business interruption must be purchased in addition to your standard business insurance policy. Having business interruption coverage keeps you protected for lost profits during downtime. Business interruption typically covers the period beginning when the company operations have ceased or been reduced due to a loss which is covered by the insurance policy (such as a hurricane) through the time that business operations have returned to pre-loss condition. Insurance companies label this time as the “period of restoration.” There are limits on how long a business can be in the “period of restoration” while policy benefits continue to be paid. In other words, you don’t have an unlimited amount of time to rely on your business interruption coverage bring your business back to full operational capacity after a loss. Business interruption will also cover a limited amount of extra expenses incurred during the period of restoration that are deemed necessary. For example, if you have to hire additional staff to meet production demands due to equipment breakdown after a loss, extra expense would cover this. As with everything else, there are limits to extra expense recovery. Have a good accountant and keep great records. Keeping an accurate record of your businesses’ accounting is the most important aspect of your business insurance plan. Accounting is important because you are going to need to provide calculations to the insurance company to justify your lost business income. The better your records, the easier it will be to prove your losses and will give you the best chance to recover 100% of your policy benefits. Take an inventory before and after a loss. Assuming you are already keeping great records, your inventory and stock is being updated regularly. Assuming you have time to prepare before a known disaster, get an accurate inventory before time runs out. Once you are able to get back into your business after the loss, you will need to account for the damaged and non-damaged inventory. If you run a business that is dependent on utilities (water, power, internet, etc. ), you should have a plan on how to restore those valuable utilities to your business as quickly as possible to prevent unnecessary losses after a disaster. Keep in mind that many policies have limits or exclusions on spoilage. Having proper insurance coverage, accounting, documentation, and photographs can help ameliorate stressful situations. If you have any questions regarding your business coverage, don’t hesitate to give us a call.